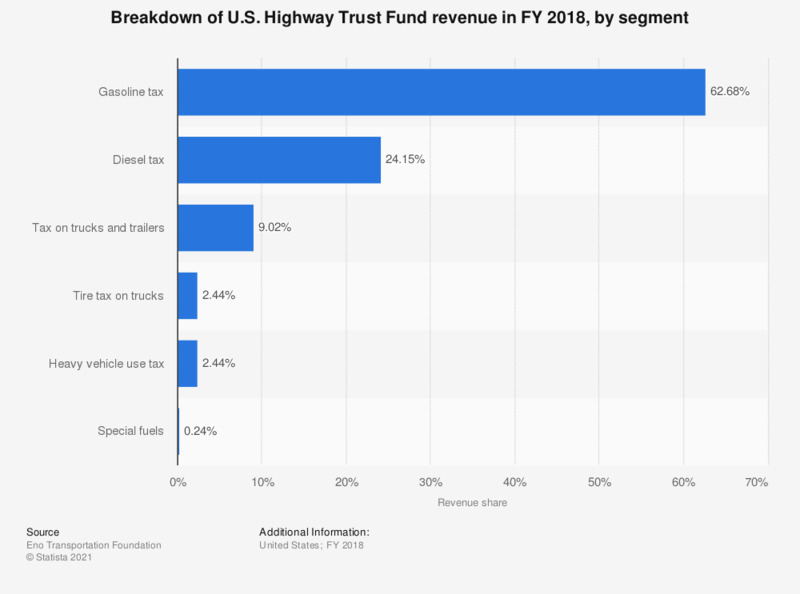 This statistic represents a breakdown of U.S. Highway Trust Fund revenue in the 2018 fiscal year, by segment. Gasoline tax accounted for more than 60 percent of revenue generated by the U.S. Highway Trust Fund in FY 2018. Percentage values are Statista calculations based on actual figures stated by the source. What would you like to find on the service areas of the future?